This past weekend, two very bad movies came out and no one went to see them. This theoretically should be the most logical sentence ever written. In practice, though, it’s apparently shocking. In what was the worst Memorial Day box office weekend since 1999, the fifth Pirates of the Caribbean movie—the one that everyone kept forgetting was coming out—got lost somewhere in the Bermuda Triangle, despite riding in on an ostentatious $230 million ship. While certainly not chump change, its $78 million gross is hardly the treasure haul the Johnny Depp franchise, which at its height opened to twice that amount, is used to. And the relentlessly promoted new, raunchy Baywatch comedy starring Dwayne “The Rock” Johnson and Zac Efron similarly arrived at the box office like a rotting beached whale. It earned just $28 million over the weekend when pundits had been tracking a debut of $50 million. The connection between both box office bombs—beyond their susceptibility to water puns—was that they both had also been decimated by a tidal wave of horrendous reviews from critics. The Deadline piece cited the rancid Rotten Tomatoes scores for the films—32 percent for Pirates; 19 percent for Baywatch—and argued that the aggregation site, which runs its scores on movie ticket purchaser Fandango, is to blame for the bad box office returns. Not, you know, the fact that the films were bad themselves. It’s the chicken or the egg argument, only in actuality these movies are definitely the chickens and they’ve laid rotten eggs, so critics are saying “hey, these eggs are rotten!” and it turns out most people just don’t enjoy rotten eggs. To translate: industry insiders are distressed over the fact that reviewers are telling moviegoers that a movie is not worth seeing, and the moviegoers are listening. They yearn for the good ol’ days, when people didn’t find out that a movie was terrible until it was too late. Understandably, this condescending argument lit Twitter on fire and sparked heated conversations among industry professionals and journalists—once they had finished rolling their eyes. There are nuances, of course, flaring up everywhere here. Rotten Tomatoes is an admittedly flawed system, with questions about how it tabulates scores, concerns over the diversity (or lack thereof) of the reviewers, and even just debate over the value of using aggregation as a way to measure art. But, hey, for decades our movie habits were dictated by how many thumbs a pair of white guys held up. Rotten Tomatoes, if imperfect, works just fine. Get The Beast In Your Inbox! Start and finish your day with the top stories from The Daily Beast. A speedy, smart summary of all the news you need to know (and nothing you don’t). Perhaps most interesting here is the argument that a movie version of Baywatch in which Zac Efron fondles the scrotum of a corpse and another goddamn Pirates of the Caribbean movie released in the midst of Johnny Depp’s ongoing meltdown would have done measurably better if critics hadn’t savaged them. It echoes the kind of patronizing idea that the mindless plebeians out in real America will be entertained by the most base-level kind of filmmaking, and bad reviews robbed these tasteless drones of the joy they’d otherwise have experienced watching Johnny Depp in one of the worst blockbusters ever made. It also suggests that critics aren’t discerning enough to recognize a film for the genre and audience it was intended, and consider its quality under those parameters. Mostly, though, it makes the argument that reviews matter a hell of a lot more than they might. It’s a classic case of twisting a fact or opinion to better make the point of whichever side of the argument is most convenient at the moment. Is there such thing as a “critic-proof” movie? Sure. Look at the success of the Transformers films, or Batman v Superman: Dawn of Justice, or Suicide Squad, or—hey—most of the other gratuitous Pirates of the Caribbean movies for proof of that. And the reverse of Zoller Seitz’s argument is also true. When a film like Get Out or Hidden Figures skyrockets to surprise box office success on the fuel of critics’ raves, it’s a credit to the value of positive reviews. But if a well-reviewed film is a box office bomb, then it’s used to argue that they don’t matter. What’s interesting, though, is how often critics and general audiences’ tastes align—essentially nullifying the argument that this weekend’s blockbusters would’ve done better were it not for the stench of bad reviews. We wrote about this anecdotally at the end of 2015, marveling over the fact that so many of the year’s top earners—The Force Awakens, Mad Max: Fury Road, Inside Out, Creed, The Martian, Mission: Impossible – Rogue Nation, Straight Outta Compton, Spy, Trainwreck—weren’t merely “good for blockbusters,” but legitimately excellent, transformative, cinematically and creatively ambitious films. In other words, they earned a lot of money and had great reviews. Slate made the argument more mathematically in a 2008 piece that sought to dispel the myth that critics are elitist and moviegoers are populist—basically the exact argument insiders are making in that Deadline piece—by comparing the year’s top-grossing movies with their Rotten Tomato scores. 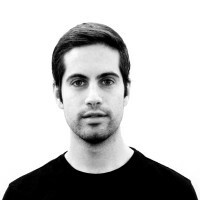 The writer, Erik Lundegaard, calculated the per-screen average of the year’s films and found that movies scored “fresh” on Rotten Tomatoes reliably (and often markedly) out-performed those that scored “rotten.” And that was true when comparing both arthouse films and the huge blockbusters that are supposedly immune to reviews. “Far from being elitist, movie critics are actually a pretty good barometer of popular taste,” Lundegaard concluded. It’s not a perfect correlation. But it an easy and, dare I say it,obvious concept to digest. Certainly more so than this idea that two piece-of-trash, creatively lazy movies bombed at the box office and it is the fault of critics not understanding that audiences like piece-of-trash, creatively lazy movies and, you know, not the fact that the movies were lazy trash in the first place. The six-storey-tall, 13,600-kilogram yellow duck is being brought to Brockville in August as part of Canada’s 150th anniversary celebrations. 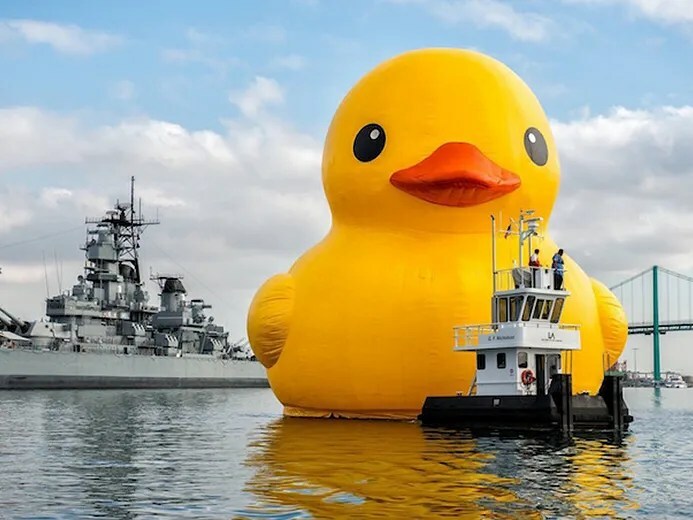 A giant rubber duck coming to Brockville this summer as part of the Ontario government’s celebrations of Canada’s 150th anniversary has taxpayers taking a bath, says a provincial politician. Ontario PC MPP Vic Fedeli said the $200,000 duck tour – more than half of it covered by Ontario – is a sure sign of a government with “messed up” priorities. The 61-foot floating duck will be coming to Brockville as part the city’s Rails to Trails festival from August 10-13. With stops also planned in Toronto, Midland, Amherstburg and Sault Ste. Marie to celebrate Canada’s 150th birthday on July 1, the giant duck tour of Ontario is expected to cost about $200,000, according to Ontario 150 co-producer Lea Parrell. Brockville, for its part, received $50,000 in Celebrate Ontario grants to stage the festival and that money came on top of $70,000 previously announced from Ontario 150 funding. Of that cost, 90 per cent is covered by grants, with the largest share from the Ontario Ministry of Tourism, Culture and Sport, he told Postmedia. Parrell added the province didn’t cover all of the duck-related expenses. Tourism, Culture and Sport Minister Eleanor McMahon cautioned against focusing too much on the duck, because she thinks it is much ado about nothing. To others, though, it represents government waste — and further confirmation that Premier Kathleen Wynne’s Liberals are living in an alternate universe. Tourism ministry spokesman Jeff Costen denied any funding was specifically for the inflatable duck, arguing the funding is more of an investment, with every dollar estimated to trigger about $20 in visitor spending. The early returns suggest otherwise. “Ontarians are paying $1 billion a month in debt interest payments alone, but the Wynne govt has $200k for a giant floating duck,” tweeted Aaron Wudrick, the federal director of the Canadian Taxpayers Federation. This isn’t the first time funding for this year’s celebration has been scrutinized. Queen’s Park also came under fire earlier this year after it was revealed the Ontario government spent $30,000 on a logo some deemed boring and basic. Get past Google/CNN/Facebook’s “COLLUSION JOURNALISM” fake news and see what really happened. Distribute a copy to your friends and on all of your social media sites. Corporation controlled “Main-Stream News” is manipulative, misleading, inaccurate, half-truth, BS, agenda-biased propaganda. Never watch it. Never read it. Never buy products advertised on it! Protect the Truth – Support Independent Media! NEVER, EVER, TRUST A NETWORK TV NEWS BROADCAST OR NEWSPAPER WITH ADS IN IT. ADS ARE A SURE SIGN THAT YOU ARE READING “FAKE NEWS”! Big corporate news channels are not just “Fake News”, they are highly limited and psychologically-rigged information designed to manipulate you into believing untrue things so that their billionaire investors can profit off of your fears! GRAND RAPIDS, Mich. – A JetBlue flight from New York to San Francisco landed in Michigan after a lithium battery in a passenger’s laptop apparently exploded and started a fire. No injuries were reported and the plane landed safely about 8:10 p.m. Tuesday at Gerald R. Ford International Airport in Grand Rapids. He added people aboard were “absolutely calm” as flight attendants responded. Firefighters responded at the airport as a precaution, but the airport says the fire was out by the time the plane landed. Airport spokeswoman Tara Hernandez says the plane took off about 8:50 p.m. and continued the flight to San Francisco. After failing in April to shut down reporting of its lawsuit with the United States Department of Labor, Google’s told the US court looking into alleged pay discrimination it would be too expensive to find out whether women are underpaid at the advertising behemoth. How much is too expensive? US$100,000, Google told the court, which if our calculation against its $28 billion 2016 revenue is correct, represents around 113 seconds of revenue for the Alphabet subsidiary. Oh, and Google’s lawyer added that compiling accurate wage data to compare mens’ income to womens’ income would take 500 hours of staff time. Which is pretty odd given that Google has more-or-less perfected the art of running computers at scale and has an army of developers on staff. It’s a high-stakes battle for Mountain View, because as a federal contractor the company has to comply with equal opportunity laws and is supposed to let regulators review its records. Google attorney Lisa Barnett Sween argued that the court’s powers are too broad and unconstitutional (something that won’t change the labour-court’s mind, but hints at how the company will argue if it has to take this all the way to the Supreme Court). She also complained that Google’s already spent nine minutes’ worth of revenue ($500,000) trying to compile the data it doesn’t want to provide the DoL.